Project Catalyst grower Scott Simpson with the Coca-Cola Company’s Chief Sustainability Officer, Bea Perez, visiting from the US. MACKAY, 24 October 2015, The Coca-Cola Company and its Australian bottling partner, Coca-Cola Amatil, today announced they are on track to meet their 2020 water replenishment goal by the end of 2015. Based on global water replenishment projects to date, Coca-Cola operations in Australia are supporting the Coca-Cola system’s global progress toward its goal to replenish 100 percent of the water it uses by 2020. In Australia, Coca-Cola’s water replenishment progress is a direct result of Project Catalyst and the efforts to improve the quality of more than 100 billion litres of water flowing into the Great Barrier Reef. 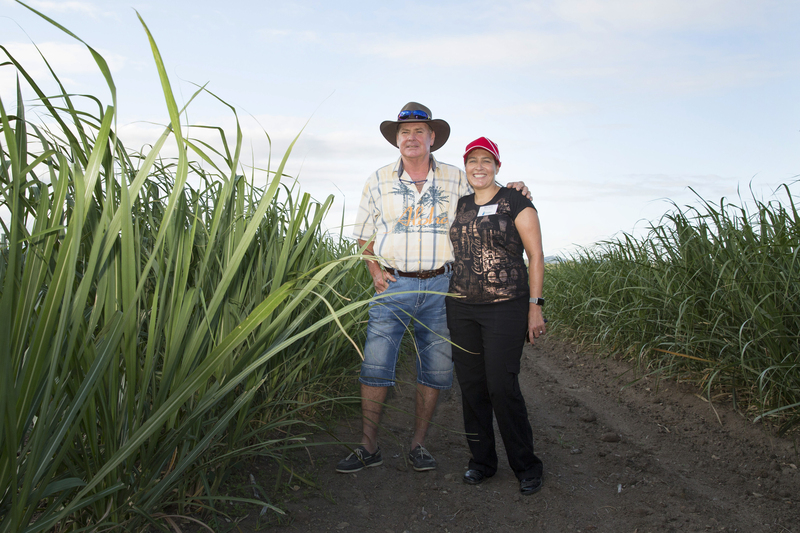 Project Catalyst, a program that enables sugarcane growers to develop innovative and sustainable farming practices, helps reduce the level of sediment and chemical run-off from farms into river catchments that connect to the Reef. In Australia, Project Catalyst is balancing the equivalent of 100 percent of the water used in Coca-Cola’s finished beverages, giving back to the Great Barrier Reef via the implementation of farming innovations, such as targeted soil analysis, digital mapping and precision farming practices. The Coca-Cola Company’s Chief Sustainability Officer, Bea Perez, is visiting the region to experience Project Catalyst first-hand this week. Reef Catchments Manager, Katrina Dent said, “The primary purpose of Project Catalyst is to reduce the environmental footprint that sugarcane has on our waterways and the Great Barrier Reef, supporting a network of innovative farmers who are leading the way in adopting changed farm practices that improve water quality. Project Catalyst farmers are reducing agricultural runoff to the Great Barrier Reef by more than 180 tonnes each year and have improved soil, nutrient, pesticide, irrigation and storm water management on over 20,000 hectares of farm land – a terrific outcome.